Are you heading to AWP Chicago, attending a few panels where issues relevant to the nonfiction world might be discussed? Want the fame and fortune that goes along with being a blogger? Do you like puppies? If you can answer yes to at least two of these questions we welcome you to post a brief report on any AWP panel (or nonfiction reading, or interesting conversation about nonfiction at the bookfair) and send them to us at brevitymag(at)gmail.com. Be in touch soon if you want to nail down your spot, or just go all impromptu on us. We need bloggers. We need you. Reporting for duty, President Moore. Laurie Lindeen, been rolling around the idea of wanting to start a blog titled Memoir Pimp..Thank you; this feels like an opportunity! Yes, I will try my hand at it. I would love to! Thanks for asking. I, too, am reporting for duty because 1. I want fame & fortune and 2. I love puppies and have no mixed feelings about puppies — evidence: I already write a Bicontinental Dachshund dog blog written by my miniature dachshund Tootsie (I’m serious; I do). Would love to – very cool! Thanks. I am interested! I write and teach non-fiction and write a blog. This will be my first AWP conference. I’d love to! I’ve been at AWP for the past three years, but this is the first year I don’t have to (wo)man a table or present. I’m also pro-puppy. Ima check out the Asian ethnic scenes in Chi-town AWP, see what we got on the third coast where the Asian American Pacific Islander creative nonfictionist is concerned. Is there even such a person as a Midwestern Asian American Pacific Islander creative nonfictionist? I’m repeating myself. Usually not a good sign. Well, let’s find out. P.S. My pseudo-juvenile lingo is deliberate. I promise to act like a grown-up if you need me to. I answered yes to all three questions! I’m in!!! I will be at the awp conference and like the notion of being impromptu. Oo, I like puppies AND fame/fortune, so I guess I’m in. It’s my first time at AWP and I was going to be searching for material for my own blog while there. I can do double duty. Oops, not quite sure why I put my daughter’s name in that box instead of mine… suppose I should change my wordpress password now. I’d like to sign up, too. So, do we get a free puppy? It doesn’t matter, I thank you for this opportunity. For those of you who have volunteered to blog, here’s the deal. We welcome you all. If you want to “claim” a certain panels or event, send us an e-mail, and we will construct a webpage that lists your intention. On the other hand, nothing says two people can’t blog the same panel. Who knows? Maybe you will see it quite differently. Moreover, we are certainly open to blog entries on encounters in the lobby, odd doings at the Bookfair, or overheard conversations while in line at the Starbucks. The AWP is filled with fascinating panels, but it is much more, and as long as you can make a plausible link to the world of nonfiction writing and publishing, we want to hear it. Try to keep them short: 500 words maybe? Shorter is fine. Send questions here: brevitymag(at)gmail.com. If posted to Facebook, or as a blog comment, we might very well miss them. Love this idea and will plan to contribute! I’ll be at AWP and my focus is memoir, personal essay non-fiction. I intend to hit up many non-fic talks and events and I’d love to blog for you all! I will try and write something for you—not sure what yet. But if you promise me a puppy, I’ll do it for sure. I will likely be blogging the AWP at http://www.freelancewrite.about.com, too. I’ll send ya some links over. Sorry to be dense, Dinty. But do you want us simply to e-mail you a link from a post on our own blog? Or do you want us to send you the full text and you post it on Brevity? You had said e-mail questions, but I didn’t see directions for connecting our 500 words and Brevity. Arts editor, columnist, blogger and journalist of 15 years (San Francisco Examiner, Cincinnati Enquirer) doing grad work in creative writing nonfiction (Miami Oxford). Will post. I’d love to contribute something. Can I claim the “overheard conversations while in line at the Starbucks?” On second thought, I’ll leave it open…there may be a local coffee shop nearby. Is it too late to submit for this? 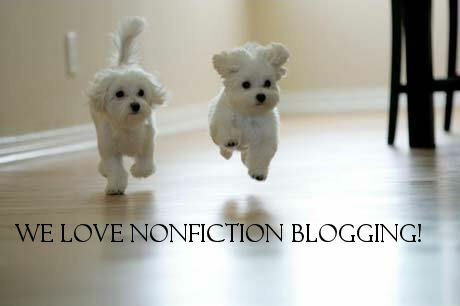 You are currently reading AWP Chicago: Call for Bloggers at BREVITY's Nonfiction Blog.